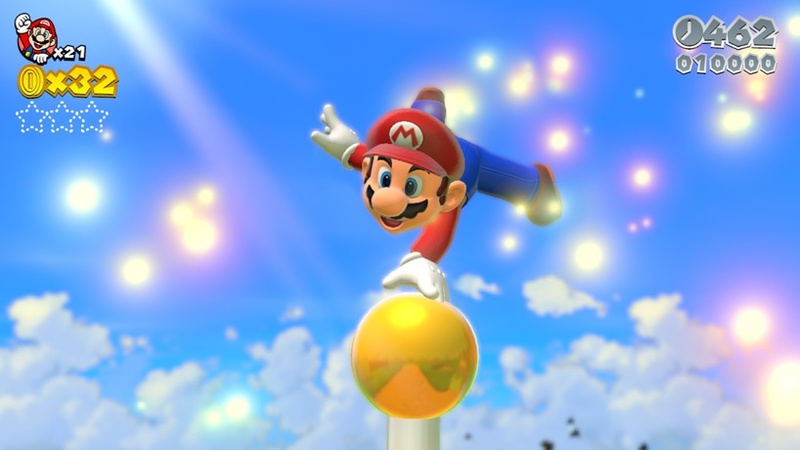 Think of the game as a mash up of many of the famed Mario titles we’ve come to know over the years. 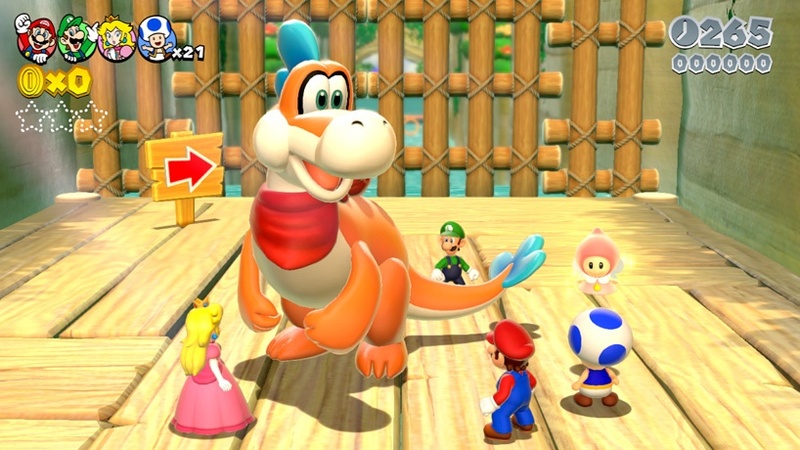 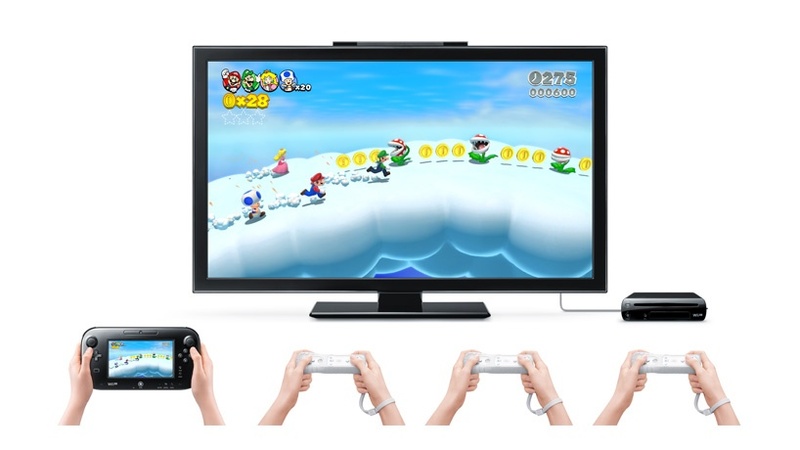 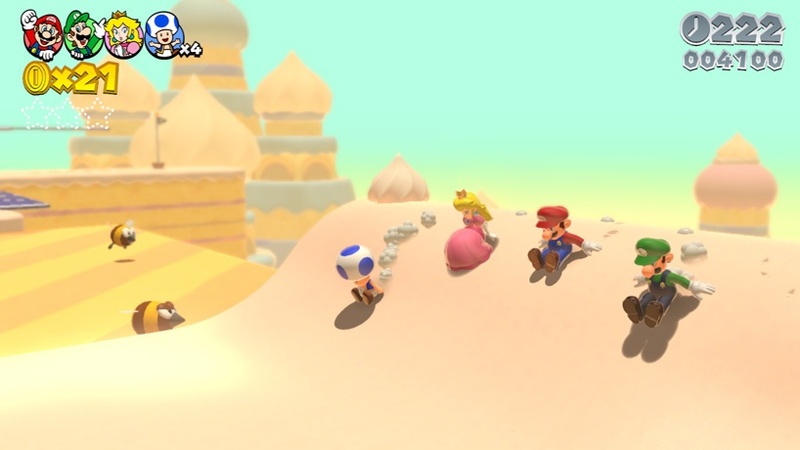 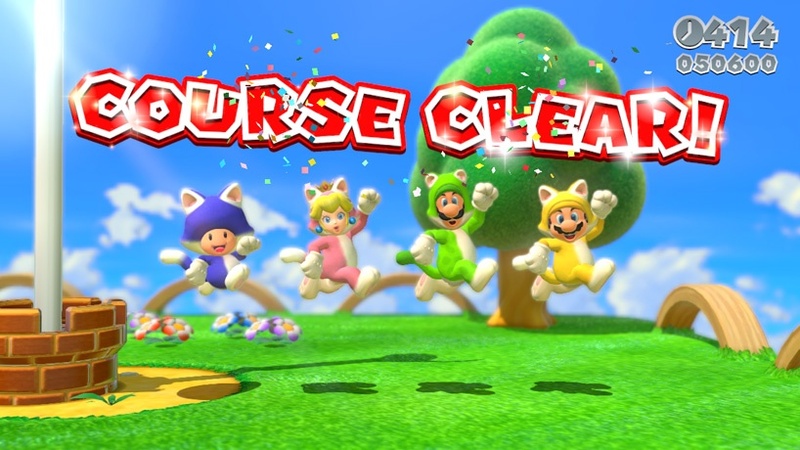 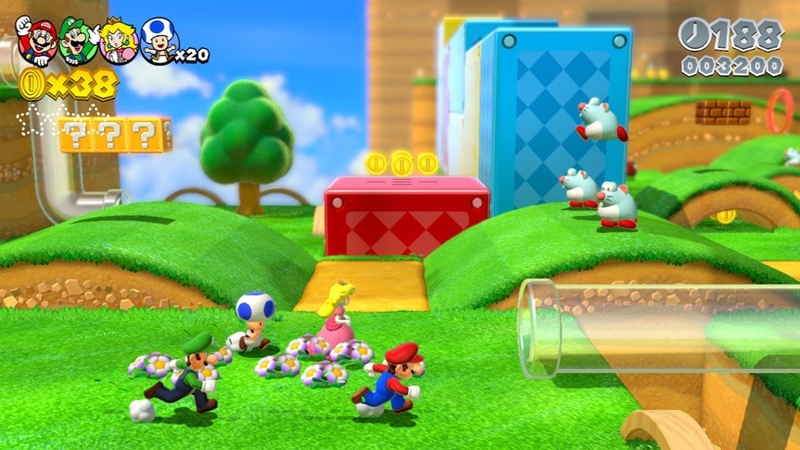 Players can take control of 4 different characters: Mario, Luigi, Peach, and Toad, all with their own unique abilities (reminds me a lot of Super Mario Bros. 2, actually). 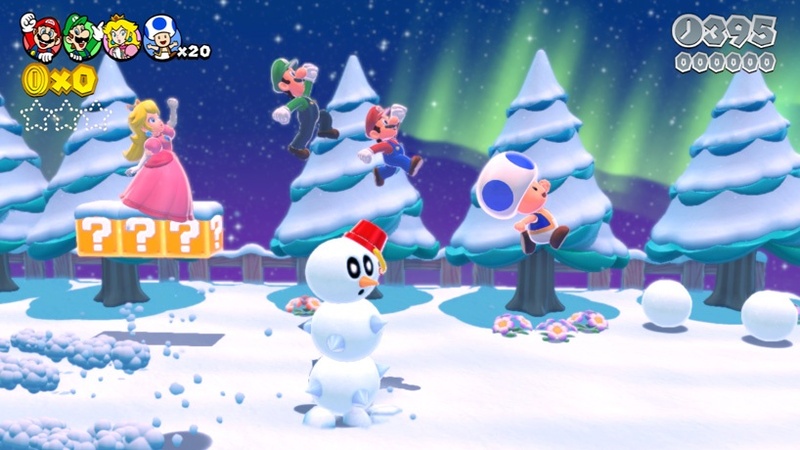 If you are a fan of the New Super Mario Bros. series or any of the most recent Super Mario 3DS/DS titles, this should be a no brainer come the holiday season. 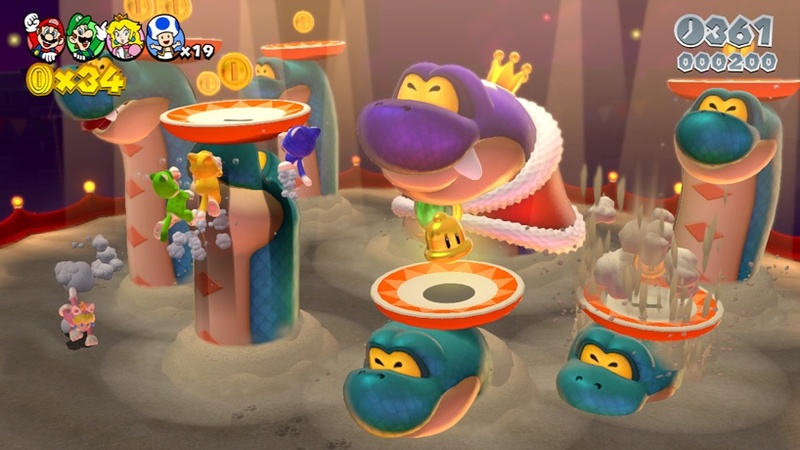 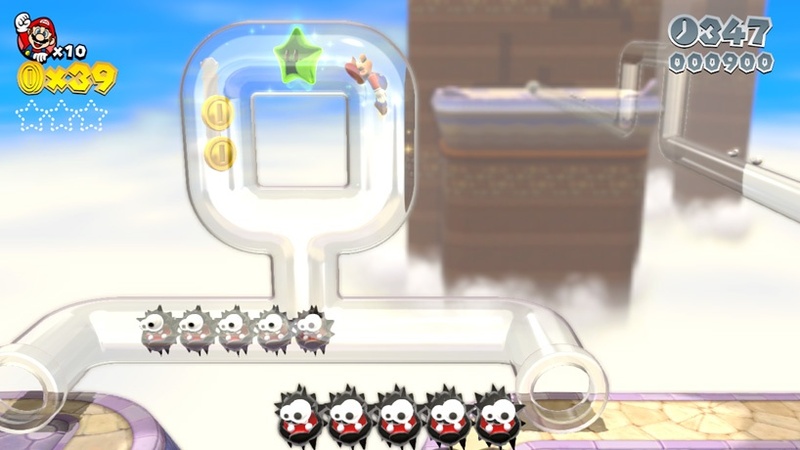 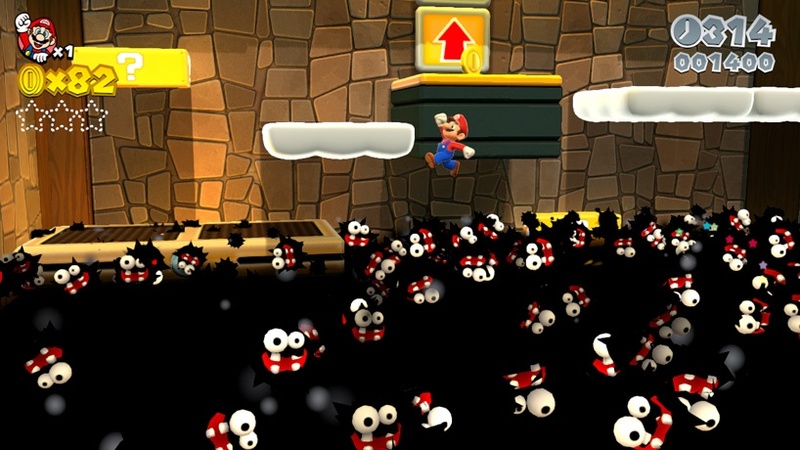 Players work together to complete levels, but also compete with each other to collect coins and power-ups to get the high score. 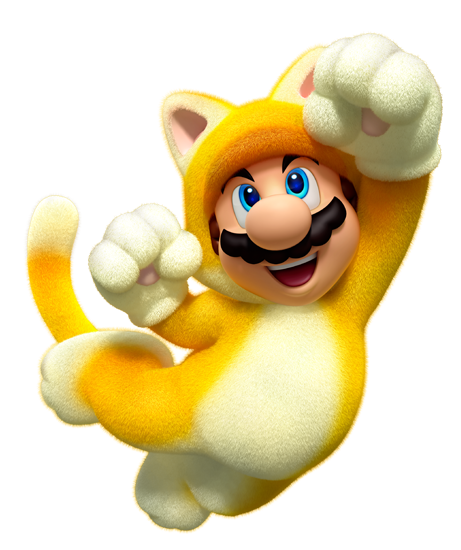 One of the big reveals here was the ditching of the familiar Takuni Suit in favor of a new power-up that grants players feline powers, such as climbing up walls and goal posts or pouncing enemies with aerial attacks or slides (nimbly, bimbly). 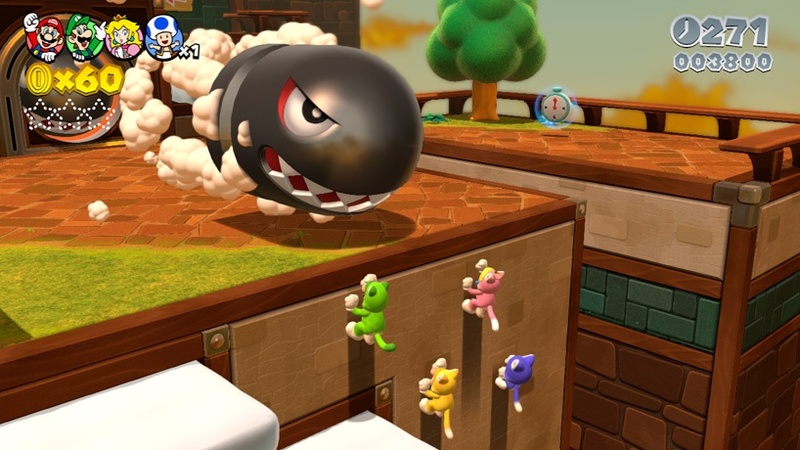 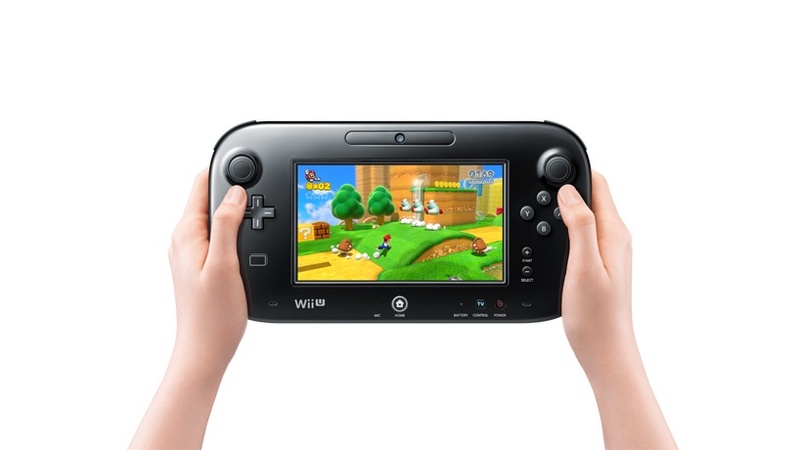 Super Mario 3D World will be releasing for the Wii U only by December of this year.